It’s hard to imagine that anyone has been able to forget we have a mid-term election coming up. But you may not have realized that you can cast your votes already. But – I’m not pushing you to rush over. Before you head off to fill in those circles – I want to help you find the information you need. There’s more than the U.S. Senate and the Governor’s seats on the line. If you haven’t been boning up – I suggest taking some time to do that first. 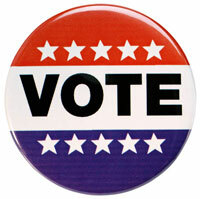 You have until Friday, November 2nd to cast early ballots (or snag an Absentee one). Still need to brush up on what who you’re voting for? For the full language and the official explanation for what a Yes/No vote means, click here. For more background – Ballotpedia put together a slew of information about each question (including endorsments, pro/con arguments, and financing). Click here to check that out. As for who you’re voting for. . . most of you know the big names running for the big offices. But there are a slew of Independent/Third party candidates also listed, plus a lot of regional/local seats. You can preview a sample ballot here. I also put together the list of the 30 candidates running on our ballot below. You may want to take advantage of this printable checklist from the state. You can fill it out in advance and use as a “cheat sheet” when you head to vote. *After the primary, I shared that it appeared that Devaney might not run unopposed. Aaron Hutchins ran a write-in campaign for the Republican ticket and those results took time to process. In the end, he failed to make the 1,000 vote threshhold to run in the general. Thank you for this! I was doing some prep work on the internet via searches, and it was a lot harder to find all of this information in one spot than it should be.